Diana at QuieTrack has been a great help to me through all the audits. She is so professional and always provides me with the best service. If she doesn't know the answer she will get it for me. She has given me a comfort level during these numerous audits. The research she has provided me has made my responses to the OCC, CFPB and internal audit clear and precise. I am glad she is on my "team". QuieTrack's been a great partner over the years. We can depend on them to deliver consistent levels of outstanding service, broad coverages that protect our assets and technology that is second to none. Everything from the real time transactions to the daily report updates on the website to the notices!!!! I am SOOOO glad we were able to make the change! I have always gotten quick responses to my questions and everyone is always so helpful and knowledgeable! In this time of regulatory overload, it's really comforting to not have to worry about this part of the process!! I couldn't be more pleased. I now have time during the day to complete my other duties besides insurance. QuieTrack makes the difference hands down! They are true professionals and very detail oriented. I LOVE QuieTrack!! I have been on your website pretty much all day since our training this morning. I LOVE IT! So easy to use and understand what an improvement this will be for us. Thank you again. By the way, we repossessed a car that was wrecked. We worked with Chris Machado and have never had a CPI transaction go more smoothly. If he is a fine example of your staff, you should be very proud of the company you have built. I would not hesitate to recommend QuieTrack to anyone! Thanks so much. I am thankful that I can always, without fail, rely upon you to provide information that is thorough, accurate and honest. 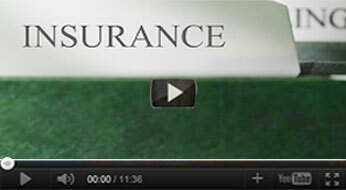 I never doubt that my insurance services are in good hands when we are working with you. Thank you again for all your help. "Their online product is the best and easiest to use in the industry." "I have open access to QuieTrack management." "We're with QuieTrack because of their level of service, the relationship they build with their clients and the ease of use of their system." 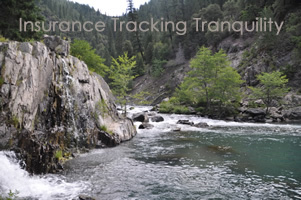 "QuieTrack is innovative - always looking for ways to improve their product and service." "They are an emerging insurance tracker. They're a rising star." "QuieTrack really shined through a recent merger; they were impressive." "Their systems are robust and technologically advanced." "I like QuieTrack's personal nature - they didn't bring in analysts; Kevin told his story and was sincere, honest and trustworthy." Copyright 2019 QuieTrack Insurance Services Corp. All Rights Reserved.